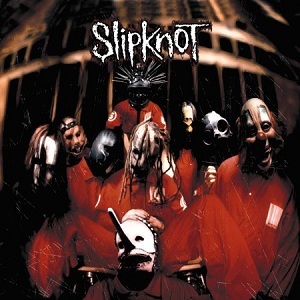 Slipknot is the major label debut studio album by American heavy metal band Slipknot. It was released on 29 June 1999 through Roadrunner Records, following a demo containing a few of the songs which had been released in 1998, and was reissued in December 1999 with a slightly altered track listing and mastering as the result of a lawsuit. It was the first release by the band to be produced by Ross Robinson, who sought to refine Slipknot’s sound rather than alter the group’s musical direction. The album spans several genres, but is generally noted for its extensive percussion and overall heavy sound. It was well received by fans and critics alike and was responsible for bringing Slipknot a large increase in popularity. The album peaked at number 51 on the Billboard 200, and has gone on to become certified double platinum in the United States, making it the band’s best selling album. It was voted the best debut album of the last 25 years by readers of Metal Hammer magazine.